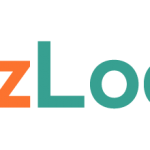 BizLoans.io web-based platform offered to leading business loan brokers free of charge and with no franchise fee. Enables business loan brokers to compete against Lendio and Fundera. FinMkt, a leading fintech solutions provider that provides the leading proprietary, multi-lender platform for commercial and consumer financing, is announcing the expansion of its referral partnership program by providing its advanced technology to select referral partners through its small business loan platform, BizLoans.io. “The launch of our premier, fee-waived, multi-lender business loans platform to only the best brokers and referral partners is a true innovation for the commercial lending space. By offering transparency and sophisticated technology to our partners, we enable them to build their businesses faster and serve their clients better,” comments Luan Cox, Chief Executive Officer of FinMkt. The tools that FinMkt arms its referral partners with include: a tailored website landing page, online application with built-in loan-type qualification tools, encrypted document uploading, e-signing, a reporting and tracking portal and a proprietary algorithmic matching engine. Additionally, all of the tools that FinMkt provides to its partners work seamlessly on mobile, tablets and any browser. “We no longer need a placement agent, who spends all day matching files with lenders. We get offers back quicker than ever before,” said Ben Earnhart, CEO of Complete Capital Group. Unlike other fintech companies claiming to offer similar partnerships, FinMkt doesn’t just work with unsecured working capital, as many others in the space exclusively offer. Through FinMkt, referral partners will have access to over 25 financial products across over 50 lenders. Some of these products include: Asset-Based Loans, Term Loans, Lines-of-Credit, Invoice Factoring, Equipment Leasing, Portfolio Lending, Personal Loans, and more. With offices in New York City and Hyderabad, FinMkt provides best-in-class, customizable online marketplace technology for the global financial services industry. We help organizations rapidly deploy marketplace solutions in a timely, cost-efficient manner while ensuring the highest quality technology and client support. From customer acquisition to product matching to tracking and reporting, our secure, patented technology solutions are the gold standard of the financial marketplace ecosystem. FinMkt’s industry-leading platform and applications drive innovation, accelerate processes, and expand opportunities for growth in the financial services arena. For more information, please visit us at http://finmkt.io/ or email us at info@finmkt.io.